What Is Stucco? What's In It? Home / What Is Stucco? What’s In It? When looking for new siding, many homeowners choose stucco for its lasting beauty and low maintenance. Before choosing stucco for your home exterior, it’s important to understand what exactly stucco is and what it is made of. Embrace the fine qualities stucco siding has to offer today’s homeowners. What is stucco siding made of? Stucco is made of Portland cement, lime, sand, and water, creating lasting beauty for your home exterior. Durability: Properly installed and well maintained stucco can last for decades, giving homeowners a great return on investment. Beauty: Homeowners appreciate the aesthetics of stucco and enjoy its beauty for many years after installation. Stucco homes have great curb appeal! Customization options: Homeowners have the unique opportunity to have their specific preferences expressed in their stucco. The color and texture possibilities are diverse. Various pigments can be added to the stucco to obtain the exact color and look you desire. 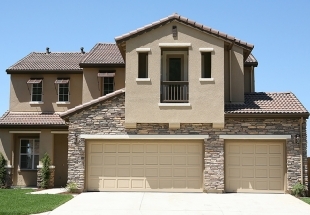 Increase property value: Stucco homes are desirable to many different types of tastes. Property value can increase when stucco is chosen for a home exterior. Low maintenance: The ease with which stucco is maintained keeps homeowners appreciative they chose it. Resists moisture damage: Stucco is rot and fungus resistant, which saves you time, money, and the hassle of repairing moisture damage. Budget friendly: Stucco homes are not only durable, but also easy on the pocketbook, making it a wise choice. Versatility: Stucco siding can be applied to concrete, brick, wood framed, or steel framed home exteriors. Fire resistant: Stucco is highly resistant to fire compared to other siding options like wood or vinyl. Due to the cement and sand in its makeup, stucco helps prevent your home from burning down. Effective insulation for a home: Stucco is thicker than most siding options such as vinyl. It is made from dense materials including cement and sand, which serve as a powerful insulator to a home. Several layers of stucco are applied to a home exterior, so it makes a home more airtight, saving you on utilities for years to come. Additionally, due to its depth and quality, stucco limits outside noise from disturbing the peaceful atmosphere inside your home. Maintains its color: Stucco siding maintains its color because the color pigment is imbedded in the stucco itself, saving you the time and money others invest to paint and repaint their home. Stucco siding is porous. Stucco siding will last better if moist areas of your home are not covered in it. One way to help stucco siding last through wet seasons is to finish the majority of your home in stucco, and then finish areas of your home that may contact moisture frequently (such as the bottom footing of your home exterior) with brick. Once your home exterior is beautified with stucco, schedule an annual inspection with a stucco professional to ensure its protection. Additionally, preventative maintenance can be done by homeowners to maintain your stucco’s beauty. Clean your stucco – Deter unwanted mold or stains in your stucco’s surface by power washing your stucco. Seal your stucco – Every 4-5 years, have your stucco sealed to weatherproof your home and keep moisture out of its pores. 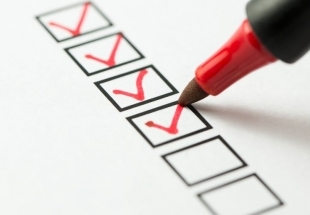 Prevent problems – Avoid problems by promptly repairing any small cracks that may appear. Prevent the growth of mold by repairing any breach in your stucco’s exterior. Love Your Stucco Repairs, Replaces, and Protects Your Stucco. We repair damaged stucco with a high-quality stucco system so your home looks beautiful again. No matter what level of damage your stucco has incurred, our team of experts and our Barricade™ systems can help you have low-maintenance, beautiful stucco to enjoy for years to come. The ideal solution for Colorado’s climate, Barricade offers the advanced stucco repair homeowners trust. We replace your siding with new stucco which is durable and low-maintenance to keep your home protected and looking great. Our Fortress Stucco™ System never needs painting because the colors are built into the material, not painted on. It has a class A fire rating and is also hail resistant. Homeowners can express their unique style by choosing from dozens of different styles, textures, and designs for their stucco. Keep your stucco looking beautiful year after year with our Barricade Stucco Shield, giving your home unmatched protection and beauty. Barricade Stucco shield repels water, is UV fade resistant, and stands up to Colorado’s harshest weather. It is backed by a comprehensive warranty and installed by certified technicians, giving homeowners peace of mind about their home exterior. For more than 25 years, Love Your Stucco has been trusted by Colorado homeowners for their stucco needs. We treat customers like we would treat a neighbor. We utilize the most advanced quality stucco and stucco repair systems in the industry. We provide worry-free professional installation so your home will look beautiful for years to come. Our professional team of installation experts take good care of your property, and respect your home throughout the stucco installation process. Our staff’s training and certifications give homeowners confidence as we meet their stucco needs. Our stucco finishes are made from white crushed marble, which performs better than other stucco products on the market. Homeowners appreciate the Certified Manufacturer Warranty and Lifetime Workmanship Guarantee that Love Your Stucco offers. When it comes to stucco siding, avoid problems by declining the urge to do it yourself. Applying stucco may look easy if you’ve never done it, but it’s wise not to attempt to apply it on your own since mistakes could cause serious problems in the long run. 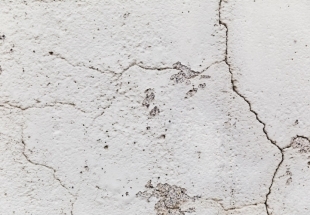 Incorrect application of stucco can cause problems like bulging, separating, and cracking. If moisture seeps through a home’s stucco siding, unwanted difficulties will result, causing homeowners undue trouble and costly, time-consuming repairs. Call Love Your Stucco to get more information on just how beautiful a Colorado Springs stucco home can be. Schedule a consultation today.